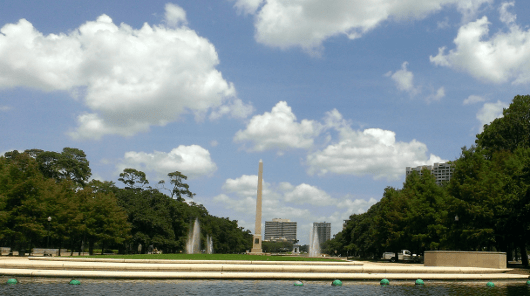 Home»All»Hermann Park & the fun to be had here – Visiting Houston’s Parks, One Week at a Time! 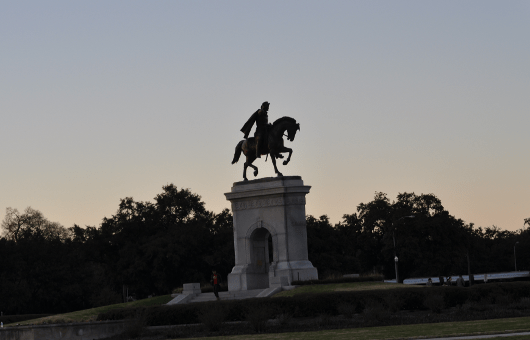 Hermann Park & the fun to be had here – Visiting Houston’s Parks, One Week at a Time! 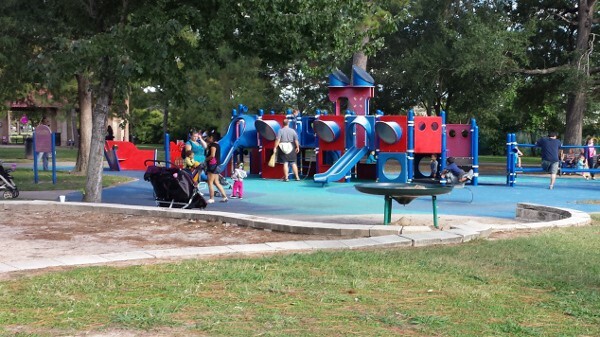 We have reviewed Hermann Park many times before, including the Buddy Carruth Playground for All Children, but to celebrate the new website and the 100 year anniversary, we are reviewing it again as part of the Houston park series! Hermann Park is right in the middle of the Museum District and it would be easy to spend an entire day here. If you included the museums within walking distance of the park, it would be easy to spend an entire week here. 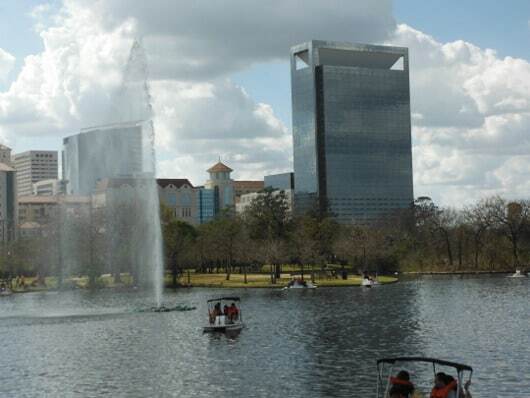 Parking is free at the park, but on days when there are events or if there is especially beautiful weather, it’s best to arrive first thing in the morning or to take METRORail. There is a Hermann Park Station that drops you off near the reflecting pool. 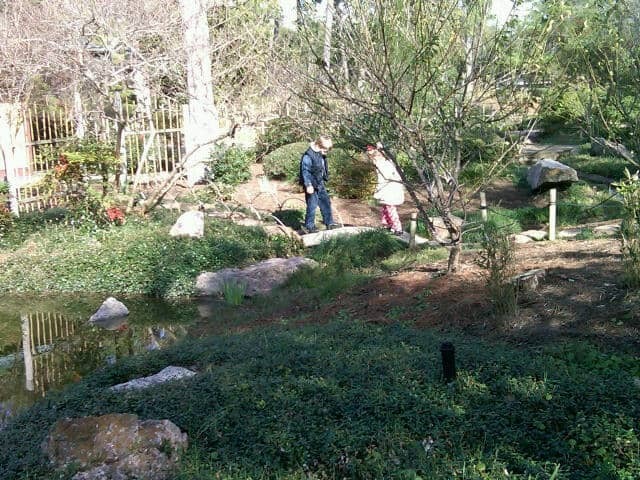 Once you are here, you can wonder around the trail, visit the Japanese Garden, play at the playground and splash in the fountains. 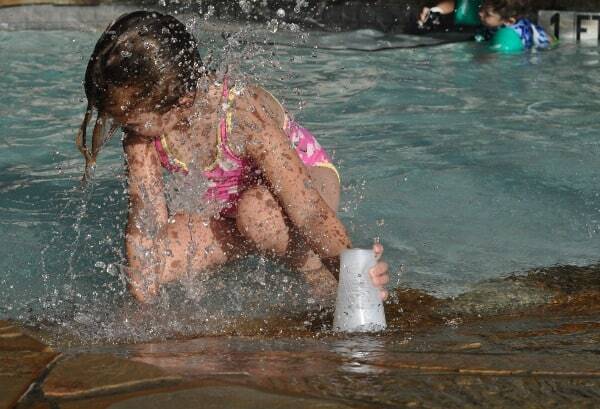 More free activities include watching a show at the Miller Outdoor Theatre, feeding the ducks, enjoying a picnic or viewing the new art in the park! 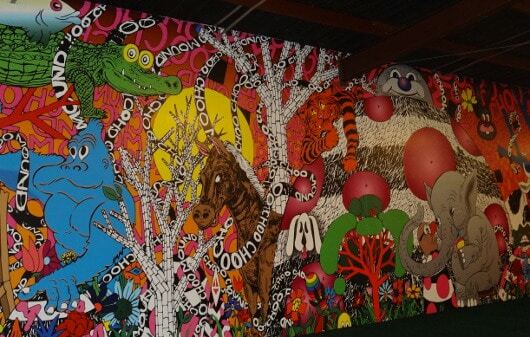 For the 100 year anniversary, Hermann Park has launched the Centennial Art Project. Already you can see the Boogie Woogie stick house (by the Japanese Gardens), the crimson colored Wind Waves (by the Museum of Natural Science), Destination Mound Town (in the train tunnel) and Boys Cry Too (near the Bill Coats Bridge). 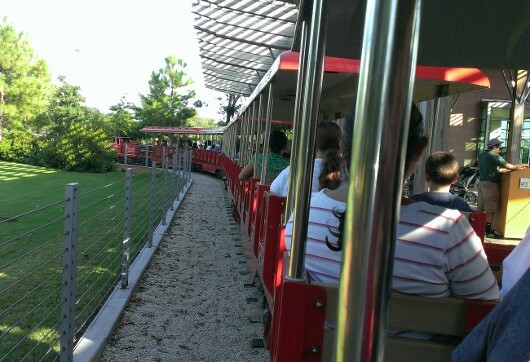 For a fee, you can also visit the Houston Zoo, ride the train or pedal the boats. If you rent a boat, take along some crackers or bread to feed the ducks! If you get hungry, you can stop by Pinewood Cafe to build your own grilled cheese. 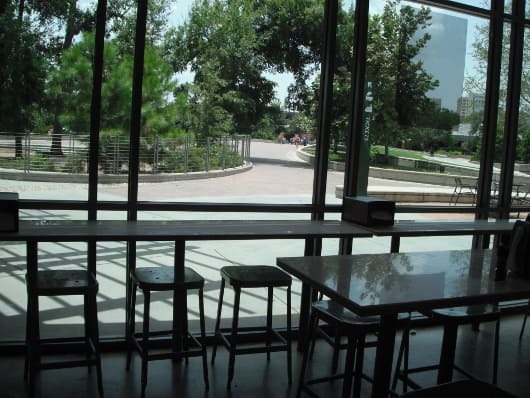 The Hermann Park Conservancy (somewhat) recently took over the restaurant and I think it’s a nice addition to the park. 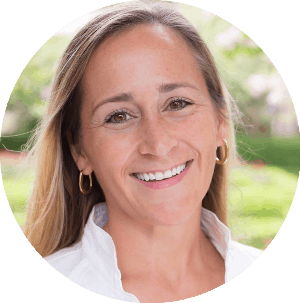 The food is reasonably priced, the location is great, and it is air conditioned! One part of Hermann Park that often get overlooked include the Bayou Parkland, which is 80 acres near Brays Bayou. There are trails, wetlands, meadows and an urban forest. 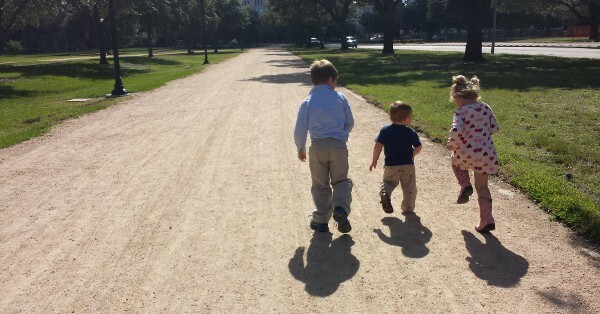 Hermann Park is really one of our favorite places to go in Houston. We never get bored exploring the park. In fact, we usually have to leave before any of my little friends are ready to go. Happy 100 years Hermann Park! 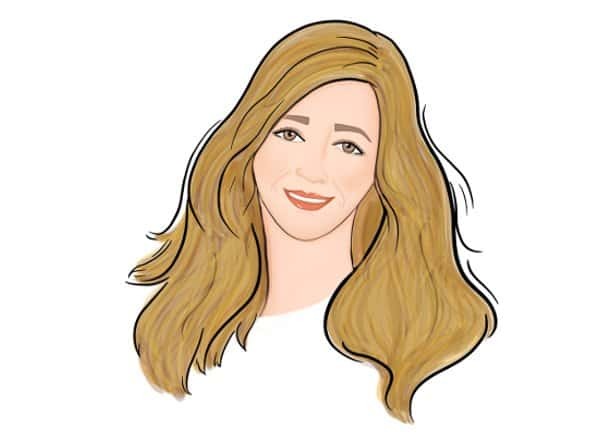 Meet Virginia Garrigos - Houston Mom and Owner of Young Artist Art Studio! Houston Fire Department Rescues Construction Worker in 5 Alarm Fire - Video of the Week!